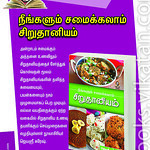 Millets recipes whenever i think about that, ideas keep flooding my mind. 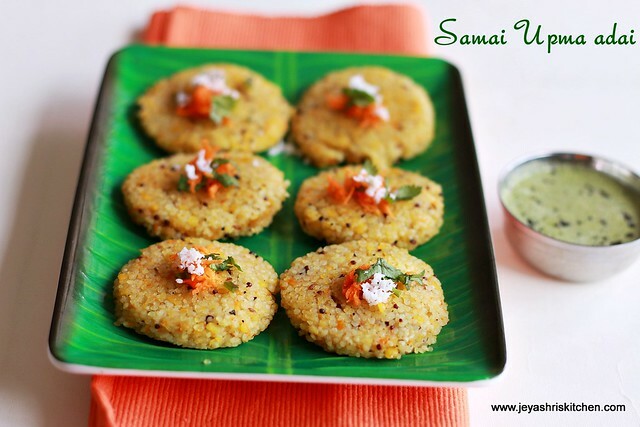 I am posting Millet recipes every Monday and today i have prepared an interesting recipe with Little Millet | Samai. 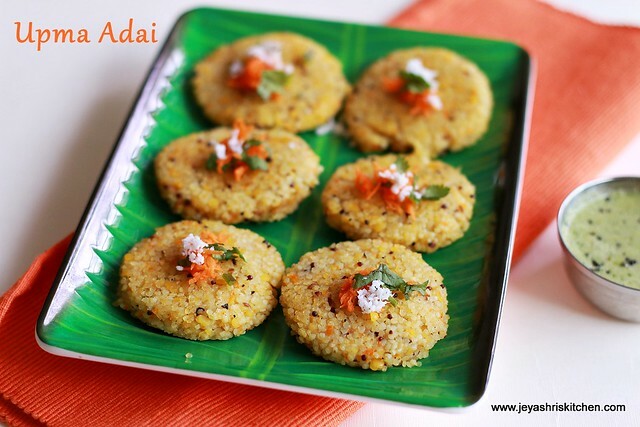 I wanted to post pidi kozhukattai recipe using millet, but suddenly changed my mind and made these thavala adai. Generally my grandma makes this with raw rice. She drizzles loads of oil and make this so crispy. She has a lot of patience to make it for a big family too. 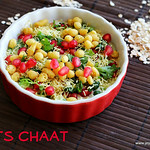 I just made in small quantity just for this post and of course, we all had today during tea time. 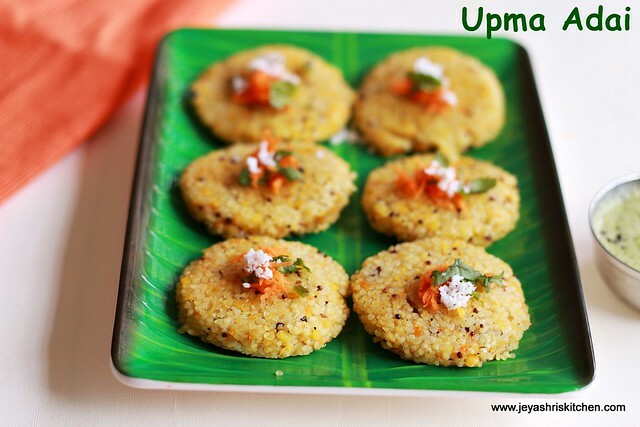 Try this healthy snack with any variety of millet like varagu, kuthiraivali and thinai too. 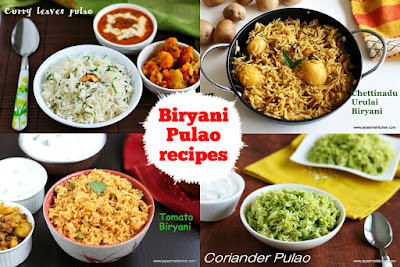 Preparation Time : 5 mins | Cooking Time : 20 Mins+7 mins for each batch |Makes: 12 approx. 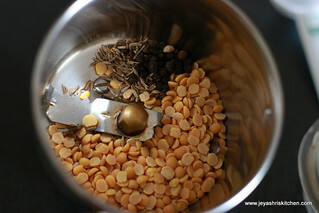 Pulse the toor dal, pepper and cumin in the mixer. Just coarsely pulse this. 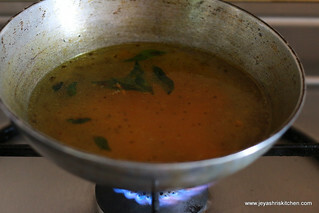 In a pan add oil and throw in the mustard seeds and curry leaves. 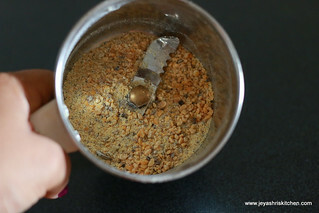 Add grated carrot(if adding) and add 1 and 1/2 cup water. Add salt and allow the water to boil. 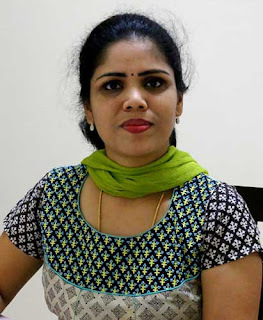 When it boils add the samai millet and the pulsed toor dal mixture. Keep the flame medium and allow this to cook. 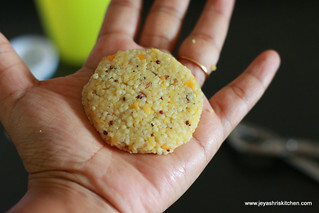 Once the millet is cooked and the water is completely absorbed, allow this to cool completely. Take small portions and make into round balls. Flatten these balls like tikkis. 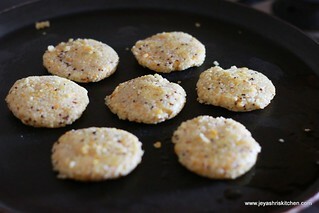 In a tawa place the patties and cook on both sides till slightly golden spots appear. Drizzle little oil while cooking the adais. Repeat this for the rest of the patties. 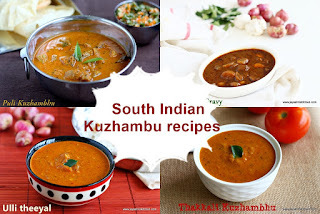 Serve hot with any chutney of your choice. 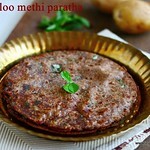 You can try this with any variety of millet . 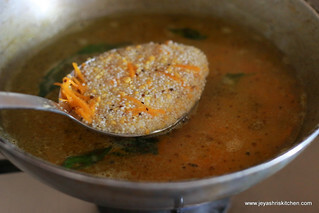 While cooking the millet ensure the water is completely absorbed. 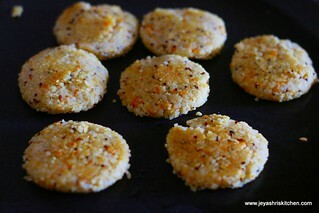 Alternatively you can steam the mixture and make upma pidi kozhukattais too. 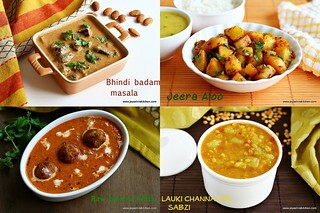 Instead of toor dal you can add moong dal too. Adding coconut instead of carrot enhances the taste. Adding coconut oil while cooking also enhances the taste. an innovative recipe. Looks very delicious. How do you come up with tasty twists with simple ingredients??!! 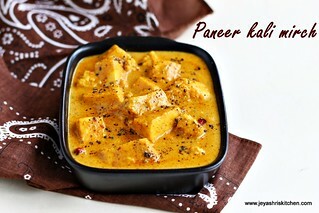 As usual, lip- smacking delicious!! 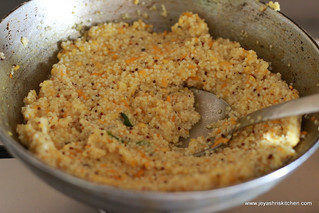 how to find if the millet is cooked? I tried and felt its kind of raw... added more water then it went mushy... it looks good in photo. shall i cook millet and then mix it ? 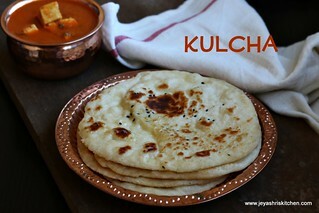 IF you feel it is not cooked,you can pressure cook it with little water in the cooker. If you touch it with wet hands and if it is non sticky, it means it is cooked.